Some 10-15% of adults in the U.S. experience the pain of gallstones. In fact, it's a digestive problem that sends more people to the hospital each year than any other. And, unfortunately, the rate of gallstone attacks has been continually rising. There is a good chance that you or someone you know will have to deal with this painful condition at some point in your life. 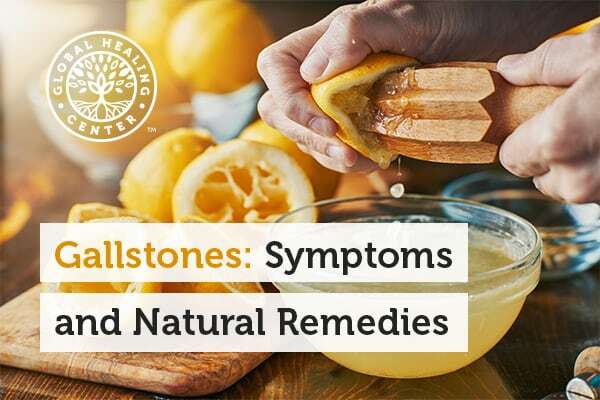 There are some things you can do to help avoid gallstones but, before we get to that, we should first explain what gallstones are. Gallstones are crystallized enzymes, bile salts, and cholesterol that can form into small clumps in your gallbladder. The gallbladder is the organ that supplies the liver with bile, which is used to digest protein. When gallstones do form, they can come in an array of shapes and sizes. In fact, most gallstones are actually very small and many pass unnoticed. These are called silent gallstones. However, this isn’t always the case. When gallstones don’t pass right away, they continue to grow. Sometimes they get so big they actually block bile flow from the gallbladder, totally blocking the gall duct. 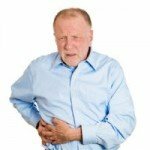 This leads to a painful condition called biliary colic. Gallstones can be microscopic, and most are, but some end up as large as a golf ball. These extreme cases can lead not only to gall duct blockage but can even irritate the liver. As you might imagine, this can be incredibly uncomfortable, even requiring a hospital visit. Some cases even warrant surgery! Several factors can lead to the development of gallstones, of which there are two types: cholesterol gallstones and pigment gallstones . Cholesterol gallstones form when undissolved cholesterol collects in the gallbladder or the biliary duct which leads to the small intestine. Pigment gallstones occur when too much bilirubin (byproduct of red blood cell breakdown with bile) remains in the gallbladder or gall duct. Gallstones can also occur when the gallbladder does not empty as frequently as it should. When this happens, bile becomes concentrated and encourages crystallization of cholesterol or bilirubin. While “silent” gallstones pass without incident, larger ones can cause tremendous pain that lasts for hours. One of the most common symptoms is a rapidly intensifying pain on the upper-right side of the abdomen or even pain in the right shoulder. In certain cases, the pain can become so intense that you can neither sit still nor find a comfortable position. In the most severe cases, gallstones can lead to fever with chills. If there is an extreme amount of bilirubin buildup, the skin may take on a yellow color. Typically, the more severe the symptoms are the more serious the blockage has become. Some cases may even end in surgery, with the worst case requiring a cholecystectomy, which is the removal of the gallbladder. 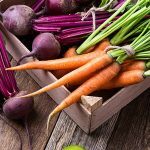 Fortunately, there are a few things you can do to naturally help reduce the risk of gallstone formation. First, eat meals that contain fat. Each time you do, your gallbladder releases bile to break it down. When the bile is flowing regularly, the chances of crystals forming are greatly reduced. Exercise can also have a tremendous effect. The New England Journal of Medicine has reported that in a study of over 60,000 women, those who sat for more than 40 hours per week at work experienced gallstones much more frequently than those who were more active. A similar study by the Harvard School of Public Health involved over 45,000 men who exercised for 30 minutes 5 times each week. This study found that exercise reduced the risk of gallstones by over 33%. Of course, exercise can also go a long way towards maintaining a healthy body. Fish, such as salmon, tuna, and cod, as well as seeds, are also great sources of protein and fat alternatives that can reduce the risk of developing gallstones while promoting overall great health. Even if you aren’t getting enough of these foods in your regular diet, it is possible to support your gallbladder through supplementation. Some nutrients can help support your gallbladder as a compliment to a healthy diet. This is a simple and affordable way to reduce your risk. Most importantly, it’s effective. In fact, research indicates that vitamin C can cut your risk of developing gallstones by half. One trait that people love is how easy it is to add vitamin C to your diet. Lemon juice shares some properties with bile and stomach acid. 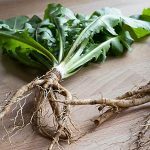 This makes it very effective at breaking down fats and cholesterol and help detoxify the liver. Combining the juice of one fresh, organic lemon with just a tablespoon of olive oil is a tremendous way to stimulate bile flow and help stop crystallization. Found in traditional therapies from around the world, chanca piedra is used to promote gallbladder and kidney health. It supports normal bile flow, which helps to cleanse the bile ducts. Gravel root, commonly known as the Joe-Pye weed, is another herb that has been used for thousands of years, best known for its soothing properties  and other health benefits, which includes the ability to keep gallstones from forming. Curcumin, the active compound found in turmeric, has been found to discourage gallstones. Turmeric is also known for being a powerful antioxidant with soothing abilities and numerous additional health benefits. Have you dealt with gallstones? What was your strategy? Leave a comment below and share your experience with us. University of Maryland Medical Center Gallstones and Gallbladder Disease. Last reviewed August 26, 2012. Michael F. Leitzmann, M.D., M.P.H., Eric B. Rimm, Sc.D., Walter C. Willett, M.D., Dr.P.H., Donna Spiegelman, Sc.D., Francine Grodstein, Sc.D., Meir J. Stampfer, M.D., Dr.P.H., Graham A. Colditz, M.D., Dr.P.H., and Edward Giovannucci, M.D., Sc.D. Recreational Physical Activity and the Risk of Cholecystectomy in Women. N Engl J Med 1999; 341:777-784. September 9, 1999DOI: 10.1056/NEJM199909093411101. Leitzmann MF1, Giovannucci EL, Rimm EB, Stampfer MJ, Spiegelman D, Wing AL, Willett WC. The relation of physical activity to risk for symptomatic gallstone disease in men. Ann Intern Med. 1998 Mar 15;128(6):417-25. Tsai CJ1, Leitzmann MF, Hu FB, Willett WC, Giovannucci EL. Frequent nut consumption and decreased risk of cholecystectomy in women. Am J Clin Nutr. 2004 Jul;80(1):76-81. Ros E1. Health benefits of nut consumption. Nutrients. 2010 Jul;2(7):652-82. doi: 10.3390/nu2070683. Epub 2010 Jun 24. Naziroqlu M1, Güler M, Özgül C, Saydam G, Küçükayaz M, Sözbir E. Apple cider vinegar modulates serum lipid profile, erythrocyte, kidney, and liver membrane oxidative stress in ovariectomized mice fed high cholesterol. J Membr Biol. 2014 Aug;247(8):667-73. doi: 10.1007/s00232-014-9685-5. Epub 2014 Jun 4. Walcher, Thomas et al. Vitamin C Supplement Use May Protect against Gallstones: An Observational Study on a Randomly Selected Population. BMC Gastroenterology 9 (2009): 74. PMC. Web. 29 Oct. 2015. Habtemariam S. Antiinflammatory activity of the antirheumatic herbal drug, gravel root (Eupatorium purpureum): further biological activities and constituents. Phytother Res. 2001 Dec;15(8):687-90. Li Y1, Li M2, Wu S3, Tian Y4. Combination of curcumin and piperine prevents formation of gallstones in C57BL6 mice fed on lithogenic diet: whether NPC1L1/SREBP2 participates in this process? Lipids Health Dis. 2015 Sep 3;14:100. doi: 10.1186/s12944-015-0106-2. 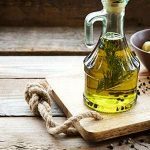 How Does Olive Oil Support Liver Cleansing?